Relogy. Inspired by the biology of your skin. This breakthrough acne treating skin care line, six years in the making, harnesses the power of natural ingredients to start clearing your skin, fast but gently without harsh side effects normally associated with acne clearing lines and treatments. 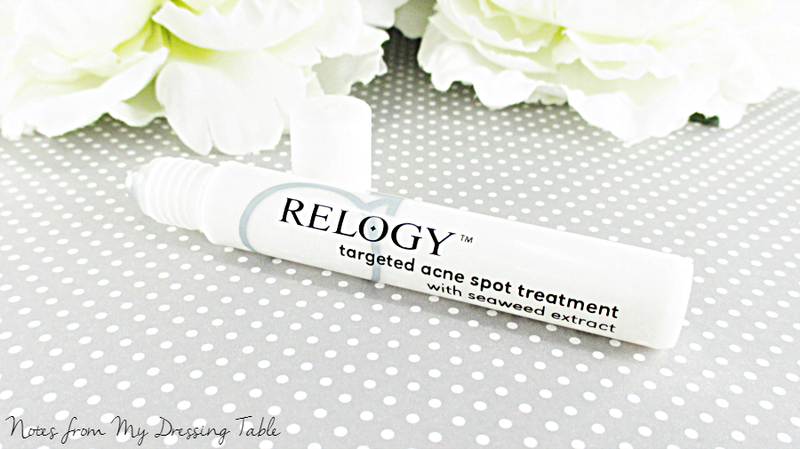 Relogy is for anyone who experiences acne breakouts. Any level, many skin types. 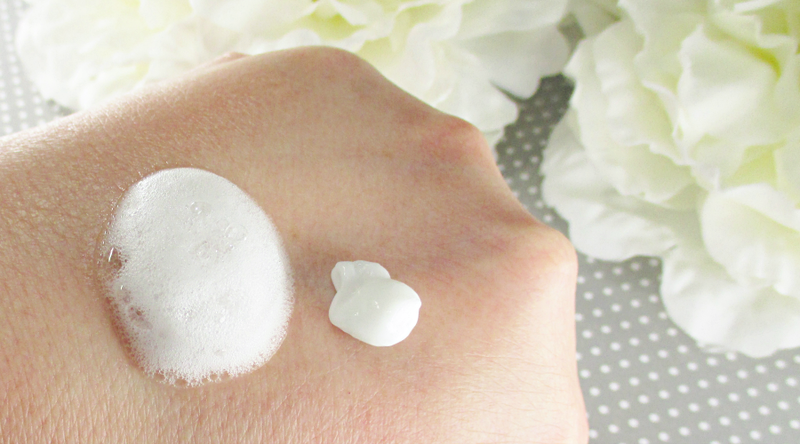 Dual Action Treatment Foam (It's bubbly for a reason, not just 'cause it's fun.) This silky foam acne wash uses the power of oxygenated bubbles to penetrate deep into your pores to start clearing pimples immediately. This step also makes your skin look and feel softer, smoother and healthier. It's super easy too! Use it as a cleanser with rinsing, or just apply and let it dry! Skin Balancing Lotion 100% Natural Skin Balancer with Coconut Milk is the ultimate side-effect preventer. It fights dryness and irritation with a level of hydration that's just right for balanced skin. 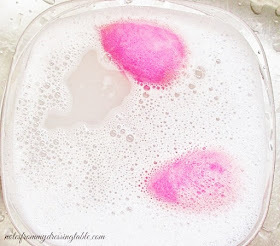 The Dual Action Treatment Foam is bubbly and soft. The Skin Balancing Lotion is silky, lightweight, spreads smoothly, sinks in readily and provides hydration without feeling heavy, greasy or leaving an oily looking sheen on the skin's surface. Targeted Acne Treatment with seaweed extract is free with purchase and is intended as a spot treatment. Pookie got a breakout while test driving this line but he refused to use this serum. He is fussy about treatments after the discomfort of the acne treatments he endured as a teen. Consistent use of the cleansing foam was effective for him so I didn't push the issue. So, how does this line perform? My observations of Pookie's skin after he went through the cleanser and moisturizer is that his skin is softer, a little more even toned. The congestion is greatly cleared and eased, pores are cleaner and appear smaller and a bit tighter. His skin texture is somewhat smoother. I have tried to get him to exfoliate but he refuses. His skin is just too sensitive and he dislikes discomfort so... It isn't happening. Dual Action Treatment Foam "It's good. It got my face clean." Skin Balancing Lotion: "It's okay. My face doesn't feel as tight and uncomfortable with it. It's not greasy." Targeted Acne Treatment: "I'm not going there." When I asked him if he liked the experience of using this skincare, overall he said that he did. When asked if he would purchase, "Maybe. Do you have any Hot Pockets?" If you have congested/acne prone skin I would say, this line is definitely worth giving a go. It seems to be effective, especially at clearing congestion. It isn't harsh, Mr. Sensitive Skin, himself gives it a good grade for gentleness. While my son isn't actively breaking out, he did get a zit that cleared quickly while using these products. 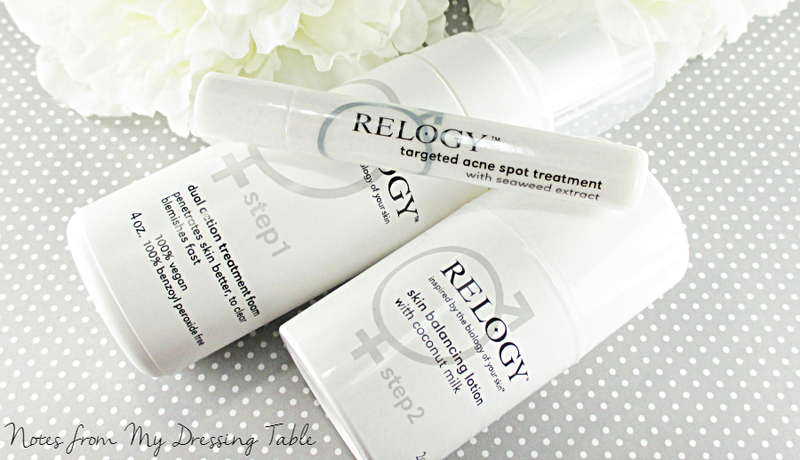 You can find Relogy Natural Acne Treatment here. The price is $49.95 every 60 days for an Auto Ship program. Visit Relogy on Facebook and follow them on Twitter. 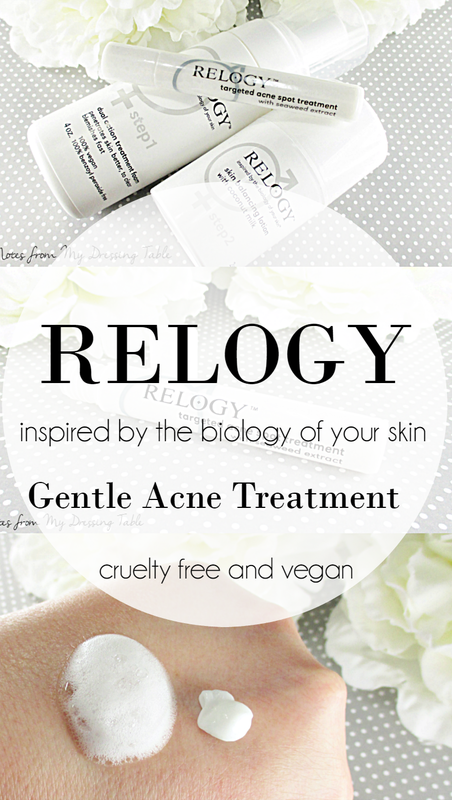 Relogy Acne Treatment skin care is cruelty free and vegan. I just went shopping, would you like a Hot Pocket? It was so nice of Pookie to consent to being your product tester! "Maybe. Do you have any Hot Pockets?"=HILARIOUS! My friend tried this brand a while back and was happy with it. So... did you have any Hot Pockets? I think that my son preferred the Hot Pockets! lol It did work for him, tho. He was a good sport. The line did work for him, his skin is improved. I love that they're cruelty free and vegan! Hot pockets seem very important to Pookie. lol. Glad you were able to talk him into trying this skincare line. I've been so picky with cleansers lately, that I pretty much beg companies to send me samples to try instead of full-sized products, haha! This one sounds interesting, I like these new oxygenated masks and cleansers - they really seem to live up to their claims of providing superior cleansing properties. So I said I wanted to check this out for my brother but this might be good for me. 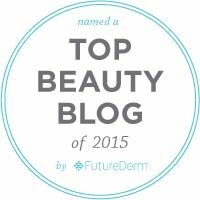 I'm always on the hunt for something to minimize my pores and control my combination skin. My darn face never knows what it wants sometimes. 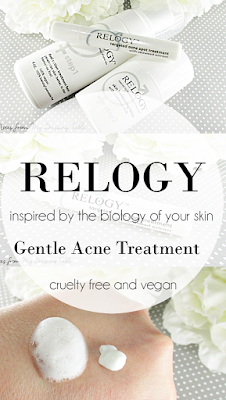 I liked Relogy lotion when I tried it, but the cleanser had sulphates in it, which can cause acne for me. Not sure if they still have that as an ingredient or not. Hahahaha, so good. I try to get my boyfriend to go through some of the skincare I have backed up but he's so lazy! Okay, I totally laughed at this post - you have such a knack for writing humorously. It's nice to read about skin care from a guy's perspective (I could totally hear my husband saying similar things). Oh, Pookie! lol. What a sport. and a great post! This post is the best, Pookie was a good sport. I have heard good things about this brand so glad to know it worked well for him. Pookie is a good kid if he's willing to test for you. I know I'd never get that kind of cooperation. I still get an occasional breakout so having a line like this in the house is handy. Too funny! Sounds like Pookie was a such good sport! This sounds like it would work great for my 15-year-old daughter. My son washes his face the same way as Pookie (letting shampoo run down his face), but he's 12, haha! Pookie sounds cute..Thanks for sharing great review about Relogy skin care..i shall recommend to my friends who have acne problem. That is so funny. I tried to talk my husband into doing a mud mask the other day. He agreed but we forgot. Hahaha what a good sport! Pookie is cute. Of course, I'm his mom so I'm a little biased. ;) I hope that your friends try and like. Don't look for that to change, He'll be doing it when he's 22. lol Your daughter might really like it. Mr. Sensitive Face didn't suffer irritation, so it's gentle. Pookie really was a good sport. He's a sweetie. I know. I hope that it's calming down and bit and recovering. It seems to be good stuff. I don't worry about breakouts, anymore. I had my share, in earlier years and I'm happy to have clear skin that behaves. lol Pookie really was a sweetie for helping his mom out. Thank you. :D He is a good guy and I appreciated his help. Thank you so much. He really is a sweetie for stepping up. Thank you. :D eah, guys don't always wax eloquent. He got said what he needed to. I think it's in the male DNA. Skincare take time away from hunt! Ugh! It's crazy how one ingredient can be clearing and give someone else trouble. Oh! I'm testing a new oxygen masque for Exuviance. I'll have something up pretty soon. You might be interested. I thought that was great, as well. It's nice to see more and more companies moving in that direction. Thank you so much. It's important to stick to what works and it sounds as if you have a good balance.